Bring Me The Horizon have released a live video showcasing their That’s the Spirit track Follow You. The video sees frontman Oli Skyes urge the crowd to climb up on their friends’ shoulders before he delivers a stirring vocal performance. The live video comes ahead of the release of the band’s new studio album Amo, which is out two weeks today on January 25 via RCA. Speaking to Metal Hammer about the record, Sykes said: “There are some songs that are poppier than anything we’ve ever done before, but there are some songs that are weirder. Some that don’t even sound like rock songs. 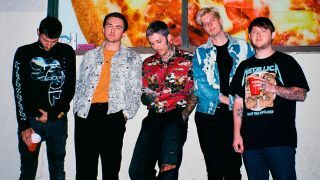 Bring Me The Horizon have shared the Amo tracks Wonderful Life, Medicine and the Grammy-nominated song Mantra. They’ll head out on tour later this month in support of the new album.